structural and copy editor and proof-reader. I can take your idea and turn it into an article, brochure, blog or copy for a website, or I can clean up and polish what you've written so that it shines. I can coach you to become a better writer, more confident in your own voice. And after that, I can help get your writing out there. editing and writing books, articles, press releases and advertising material. I most love to work with a person who has a story to tell or a book half-written but who doesn't know what to do next. I'm a hand-holder who helps you through every step. If that's you, let's chat. I'm honest and encouraging and I do what it takes to get your story on the page. I love to help people who've got an idea - or something to share with the world - and get them set up with a book and a plan to get it out there. I love to help writers who are nearly there. They're committed to the process and learning as much as they can, but they know there's something still missing in their work, and they're prepared to listen to advice and do the work of rewriting with guidance, so their writing really shines. As well as that, I love to mentor young writers - teenagers and young adults. You've taken music lessons and sports coaching before, so why not work with a writer? Contact me. Let's figure it out together. Tell me a little about your project, and how you'd like me to help. Thank you for your message. I'll be in touch with you as soon as I can to talk about your project. 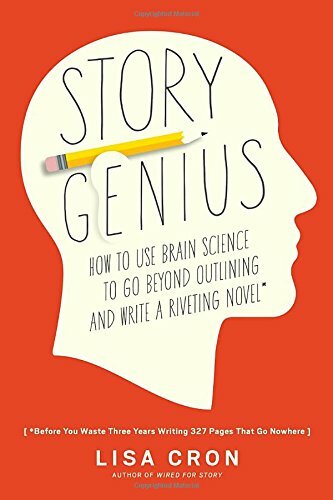 This book goes into helpful, practical detail about how to get rid of that awkward 'told prose' and bring the story to life. Also includes a fantastic list of 'trigger words' to be aware of and avoid. The most brilliant book on plot structure, and eminently readable (and funny, which is always a bonus in my opinion.) It's about screenwriting, but the same principles apply to fiction and memoir. When I found it, the 'aha' light went off in my brain. 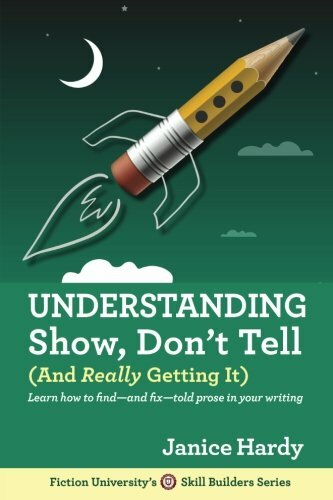 This book gives practical help on how to get your story off the page and into people's hearts. If you can connect with them, you'll keep your readers. And here's how. you Want to share your story, but you're not sure where to start? There's a whole lot more to it than just sitting down at your computer and typing whatever words come into your head. I'll take you step by step through everything you need to know to write a memoir that will have readers hooked. Check out my course here. I love having happy customers. Cecily was a vital part of the team in developing a new website for Nowra Anglican College. She managed to transform some existing and dated copy into modern and streamlined writing. However, her greatest work was in spending time talking with some of the educators in the College and then producing language that they were technically happy with, and that was also accessible to non-educators. This is more complex than it sounds. Cecily was very approachable showed great professionalism and worked very quickly and efficiently. We have had many comments from teachers and parents about how well written the content is. After a long, arduous search looking for an editor for my manuscripts, I was directed to Cecily Paterson. I browsed her website and immediately fell in love with what she does. Cecily edited my first and now second manuscript providing constructive feedback and areas of development making me a better writer today. She polished, clean up and gave my story a new light. Your insights, assessments and expertise are what’s pushing me to become a great writer like you someday — what an excellent job. Being a novice writer, I was worried about my style of writing and what areas of development I need. Thank you for understanding my style of writing and helping me grow better in that genre. I can’t stop reading my memoir you’ve just edited. You’ve made my story come to life and added the hidden spark it needed to stand out. You are gifted and talented in what you do. Thank you again, Cecily. Because of your coaching and the excellent course, today I took delivery of 100 copies of my memoir - ‘Forever Upward’. How I have enjoyed the journey with yourself alongside this year. I would not have done it without you. “ As a first time self-publisher I was extremely grateful to Cecily. From the first edit right through to final publishing, Cecily was insightful, efficient and clear in what was required. I can wholeheartedly recommend Cecily to anyone looking to write and self-publish a book. If I ever get around to finishing my next book it will be Cecily I will turn to for help. "When I reached out to Cecily Paterson to help edit my daily blogs and create a manuscript from them she promptly assisted me on multiple levels. She held vast knowledge in assisting me with editing, locating a publisher and also reworking some of my wording, all the while working on narrowing down over 500 entries into 365. She was patient and understanding. To top it off Cecily helped me think of a name for my book,or daily journal. The final manuscript she put together was perfect. Thank you Cecily for all that you have done." This book is a collection of essays about Third Culture Kids, edited by Rachel Pieh Jones. I contributed an essay and designed the cover. "Cecily is an extremely talented writer. She is truly God-gifted. I am grateful that we crossed paths and she was willing to assist me in finishing a lifelong goal. Without her, my dream of completing my manuscript would not have been possible. Truly in debt and appreciative." "I am in a huge debt of gratitude for the work that you have put into this. Your attention to detail was phenomenal." "Cecily is a master of seeing what is NOT there on the page. Whether it be missing emotion or thoughts or details. Her comments allowed me to clearly see what I needed to do and inspired me to better writing. She's efficient with her time (which keeps the cost down) and tells the truth kindly- a very important trait in an editor." I would highly recommend any new or experienced author work with Cecily. I spent three months searching for just the right editor and am forever thankful that I found Cecily. This was my first experience with working with an editor. I had heard many horror stories about how editors tear new writers down. Once I started working with Cecily I realized that my fears were unfounded. I have greatly enjoyed working with her. It is clear that she knows what it take to make a story come to life. I have learned so much from her. In her feedback she uses questions, comments and example to help the author understand how to make their story pop. She focuses on how to improve the writer’s story line, while challenging the writer to strengthen their writing skills. Cecily is approachable, has great communication skills and responds in a timely manner to email. I wouldn’t want to use any other editor. "I met Cecily Paterson while trudging through the laundry list of possible editors you can find online, and I liked her right away. She was polite, professional and she had a book of her own that she was giving away for free at the time, which was all the proof of her work I needed. I read her work, and hired her on the spot. She was accommodating of my tight editorial budget and she helped with so many aspect of my work, including Cover Art that I was blown away. I will definitely be using her for my novel's sequels." "I felt refreshed working with Cecily. She involved me in the process and I felt like a burden was taken from me. She worked quickly and made my book read smoothly. It was such a relief having someone as positive as her in my team. She delivered on time and her price was less than I expected. Cecily is a gem." "Cecily was subeditor of SOHI Magazine. SOHI was a tricky task as it was written by professionals as well as community based amateurs. It had strict space constraints as well as an over the top style sheet, praised and dreaded in equal measure by designers and printers alike. Cecily exhibited the two traits most desired in a subeditor: tact and precision. These qualities are seemingly incompatible. This is what made Cecily great. As well as dotting 'i's and crossing 't's, Cecily had an eye for design, and for how the text worked with or against it. SOHI has won several international design awards and without Cecily's keen eye, not just on meanings and syntax, but on balance and symmetry, SOHI would certainly have failed in the design-geek sector of the market. In this was, Cecily was crucial to the brand's success as a design-object, as well as a magazine. I hope you get the chance to experience Cecily's work. Clean, creative, precise. She is a rare specimen. 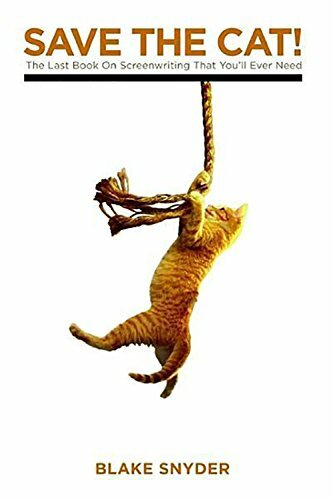 *this testimonial was not subedited by Cecily"
"I just wanted to thank you for your work on my book CrimeSon. Your skill and attention to detail is of an excellent standard and you delivered exactly what I asked for and even more. Thank you for making the process of getting my book edited to a standard that is ready to go to the publisher and the printer an easy one. It was a joy doing business with you and I highly recommend your services to anyone looking to get their book edited. I truly love the way you cleaned my book up and made its flow alot better without losing my style in the process. When I read my book after you edited it, I could still hear my own voice as I read. Great job, Cecily." 2014: Rewriting and editing for Justin Gardner's book 'Small Change Big Change'. "I have read through the finished book and I must say great job, you have done it again. Thank you for making my writing flow without losing my style and feel.You have a great gift Cecily and I am so thankful that God has used you and your gift to help me with mine." "Cecily has been instrumental in helping me reach my personal goal in completing my book; Superhero Eyes. She has guided me throughout the process, supported me with all of my ever changing ideas and have provided not only her professional service but also managed to understand my vision. Thank you so much Cecily for your wonderful work and it has definitely been a pleasure to work with you! I will continue to highly recommend you and your awesome work." Tell me about your project and what I can do to help you. Thank you for getting in touch. I'm looking forward to hearing about your project and letting you know if I can help you. I'll respond to this message as soon as I can.